Drain the tofu and dice into large cubes. In a medium-sized bowl, combine the rice vinegar, olive oil, chili powder, cumin and mix thoroughly. Then, pour the marinade over the cubes, coat evenly, and marinate least 20 minutes. 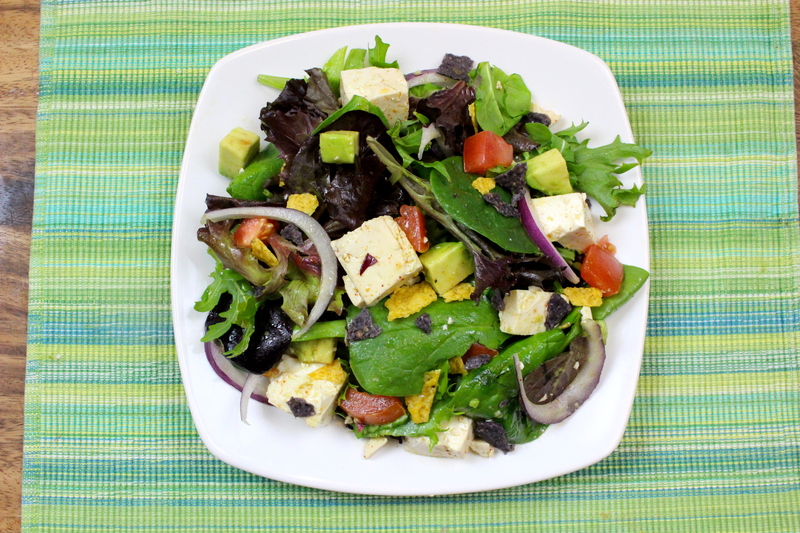 In a large salad bowl, toss the mixed greens, red onion, tomato and avocado. Season with salt and pepper to taste. Top the salad with the marinated tofu and garnish with tortilla chips.